Gone are the days of part-time porch sitting. Homeowners have learned that porches, patios, and decks have become an extension of our indoor living spaces, and by making them comfortable as an indoor room, we add valuable livable square footage to our homes. Who says that porches must have plastic outdoor chairs, that beg little to be sat upon? Bring comfortable fabrics and add colors and décor that you want to see and use. Modern teak loungers or oversized rattan chairs and sofas with billowy cushions can carry from screen porches to your custom patio or deck seamlessly and create true outdoor living spaces. Furniture designers now offer fully-upholstered outdoor furniture that transforms porches into outdoor rooms. Today, it’s not just about curb appeal. It’s about lifestyle appeal. Plan, design, and build a space outdoors that you want to live in. Allow Archadeck of Chicagoland to help you on this journey. 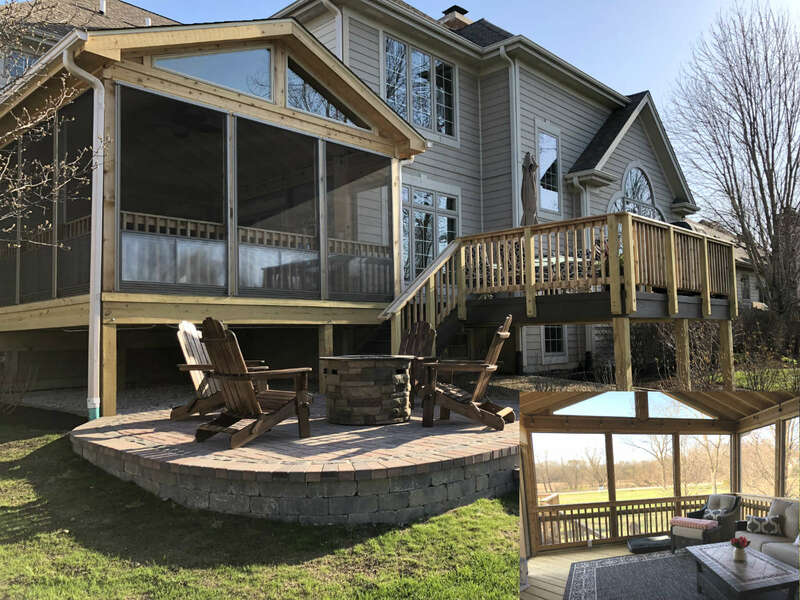 As the premier Chicagoland porch and deck builder, Archadeck of Chicagoland will help bring your indoor creature comforts outdoors. When planning and saving for a custom outdoor living space, it’s important to know that we can maximize our investment by creating a porch combo rather than just a porch or deck. In one project, we can create a cohesive design that not only suits your lifestyle and design choices but will also guarantee that you get the most use as our Chicagoland weather dictates. Warmer, full-sun days can be spent on your custom deck, grilling and eating, or just lounging. 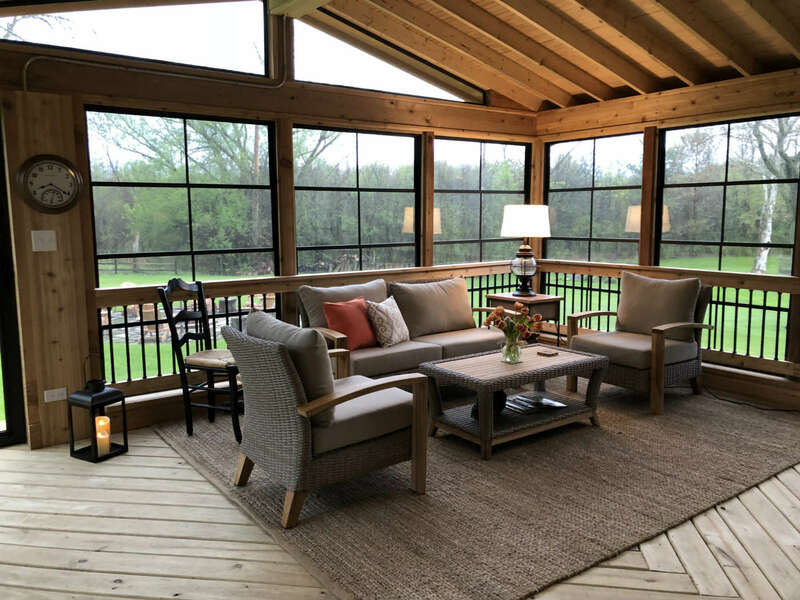 Overcast, inclement weather days, and cool evenings are better spent in a screen porch, where the elements may be kept at bay. Adding a fireplace on the screen porch will ensure that the space is kept cozy on days that would otherwise be spent indoors. Outdoor rooms, as an extension of our interior, can be decorated to complement our favorite interior rooms, and will be useable for much more time than just a deck or patio. Add comfortable furniture and a TV for watching football in the fall. Choose tables, lamps, and décor will make you right at home, outside your home. Our time is valuable. Spend it splendidly outdoors in a combo room! 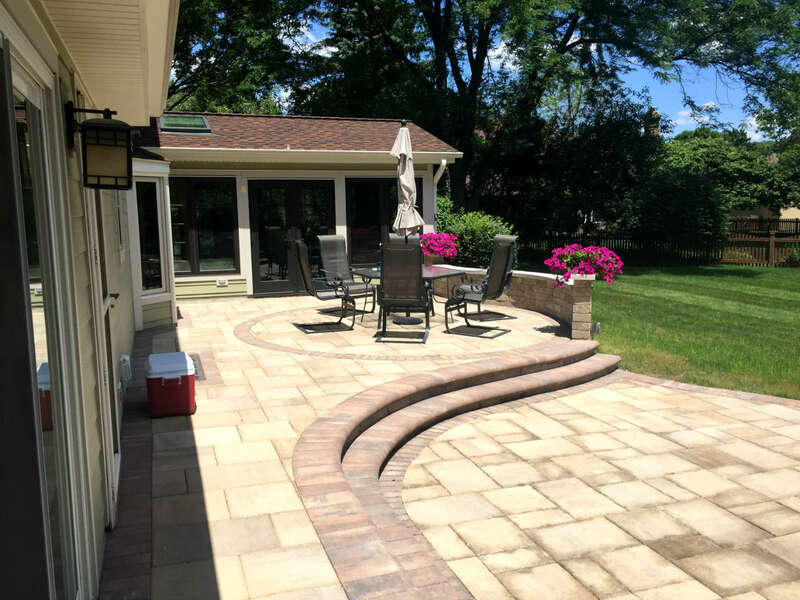 If a patio is more to your liking, choose Archadeck of Chicagoland as your Chicagoland porch and patio builder, and we will take your outdoor room to unexpected heights. Patios and decks commonly serve a similar purpose, and pair well with screen porches. Allow us to create a patio that will be functional and a beautiful addition to your exterior space. Add a custom outdoor kitchen that rivals your indoor kitchen. Create a dining space that will wow your friends and family. Outdoor furnishings can be just as lovely as their indoor counterparts, worthy of dinner parties and holiday cookouts alike. Wood farmhouse tables are on-trend and work well in outdoor dining spaces. Rattan, metal, and glass-top tables are a more traditional and are great low-maintenance choices. Fantastic additions, such as built-in grills and outdoor pizza ovens in a wide array of styles will heighten your culinary aspirations while adding beauty and interest. We will work to create an optimum outdoor patio kitchen and dining space that will specifically suit your needs, and pair beautifully with your screen porch to create a space that you will use more than you thought possible. As with any home improvement project, building a porch combo is not just about adding value to your home. It’s about adding value to the time you spend there. As your Chicagoland porch and patio builder, we want you to see the value in that concept. We will provide guidance in planning, design, and budgeting to get the biggest return on your investment. 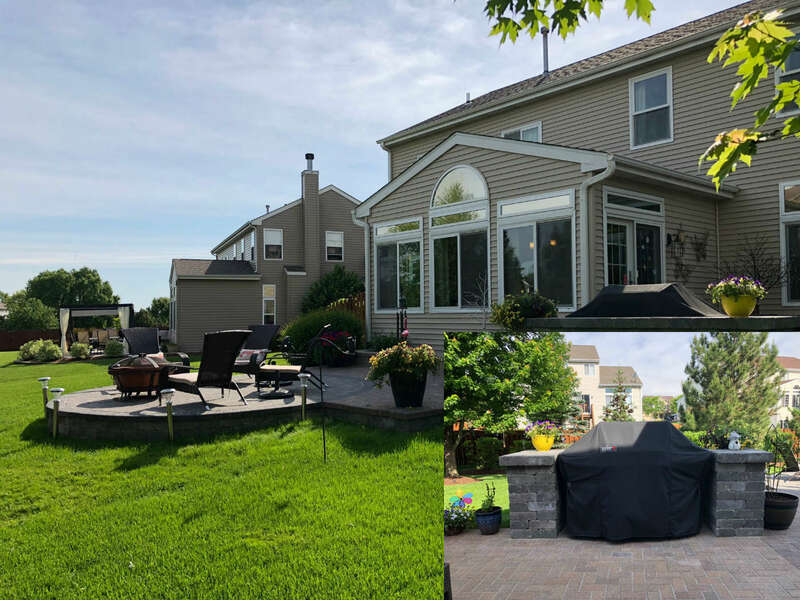 As your choice Chicagoland porch and deck builder, we guarantee that you will love the time you spend in your new outdoor living spaces, whether entertaining friends, or having dinner and relaxing with your family after a long day of work. If you’re thinking about finally being able to host the number of people you want and doing so in style, give us a call for a free design consultation at 847.496.4333 or email us. Our design consultants will help walk you through the options, considerations, and design choices for your new space. We look forward to your call.